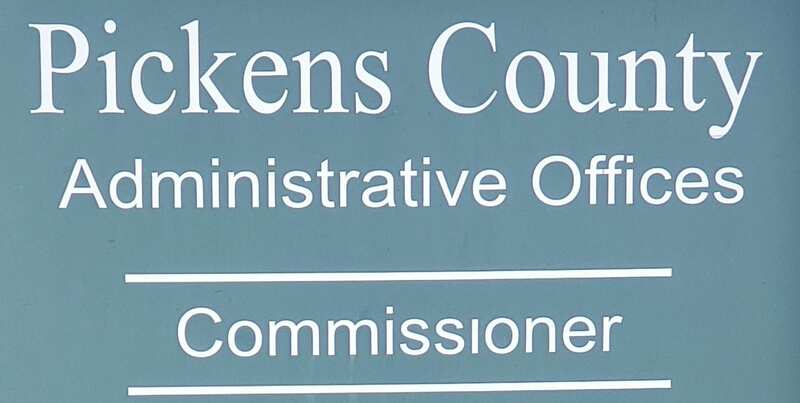 JASPER, Ga.- The Pickens County Board of Commissioners met on Thursday, March 21, 2019, for their regular board meeting. 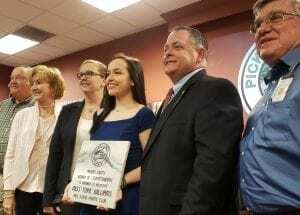 During the first half of the meeting, the board presented three Pickens High School students with a 1,000 Points Club Award, followed by the Golden Deed Award. The first student to receive the 1,000 Points Club Award was Mykenzie Weaver. 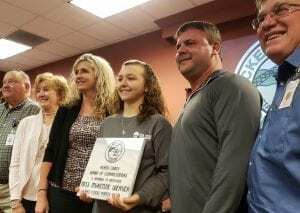 Pictured is Weaver standing between her parents and members of the Board. The second student to be presented the 1,000 Points Club Award was Seth Bishop, who was not present during the meeting. The final student to receive the 1,000 Points Club Award was Torie Williams. Pictured is Williams between her parents and members of the board. The final award of the evening was the Golden Deed Award, presented to Phillip Dean of the Pickens County Water Department for 20 years of faithful service to the citizens of Pickens County. Congratulations from Fetch Your News to all who received recognition during this Board of Commissioners meeting!